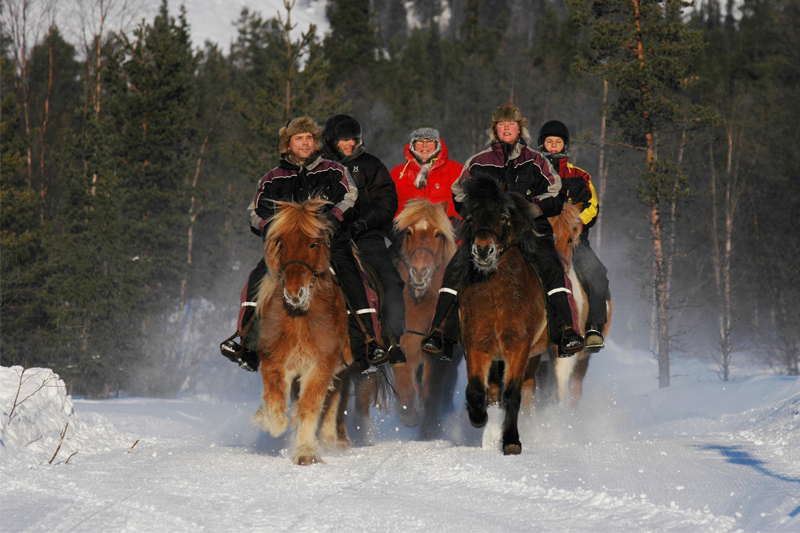 Top 10 things to do in Sorsele in the winter. 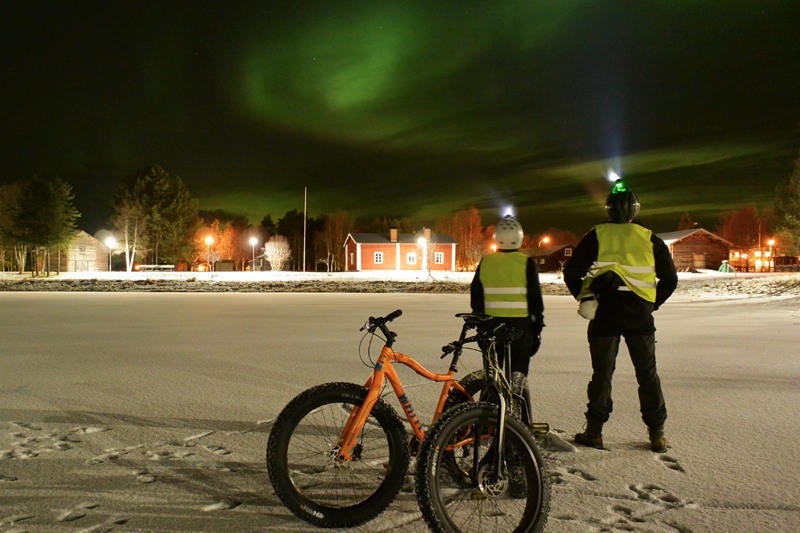 Go ice climbing on frozen waterfalls, experience the Sámi culture or go dog sledding. The locals made this list for you. 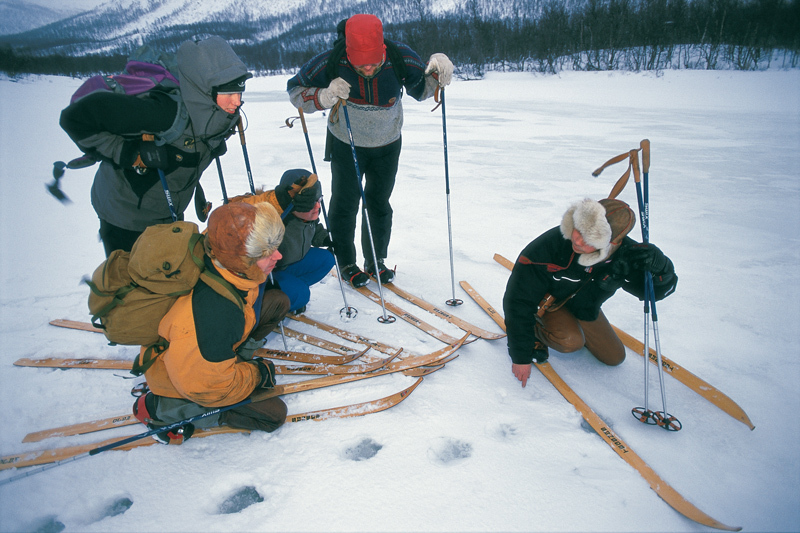 Ice fishing was once called the “moronic sport” – but there’s nothing moronic about ice fishing! It’s one of our favourite things to do in the winter, and for the most part, it’s fundamentally meditative. 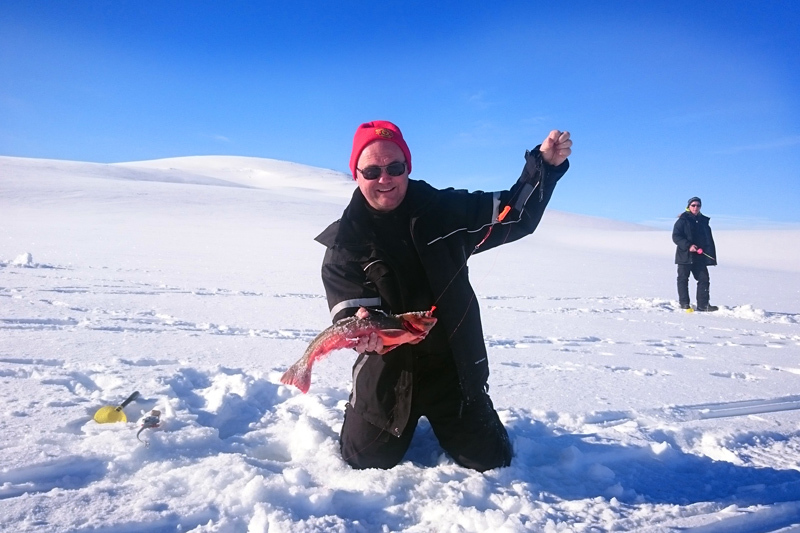 Visit Sandsjögården for an ice fishing event together with your hosts, or Ammarnäs GuideCenter or Geunja Sami Ecolodge if you want to fish arctic char in the mountains. The natural environment in the area around Sorsele is perfect for snowshoe hiking and skiing. And snowshoe hiking is, of course, perfect for anyone – walk on snow that is soft, fluffy and so deep it would be possible to sink down to the waist. 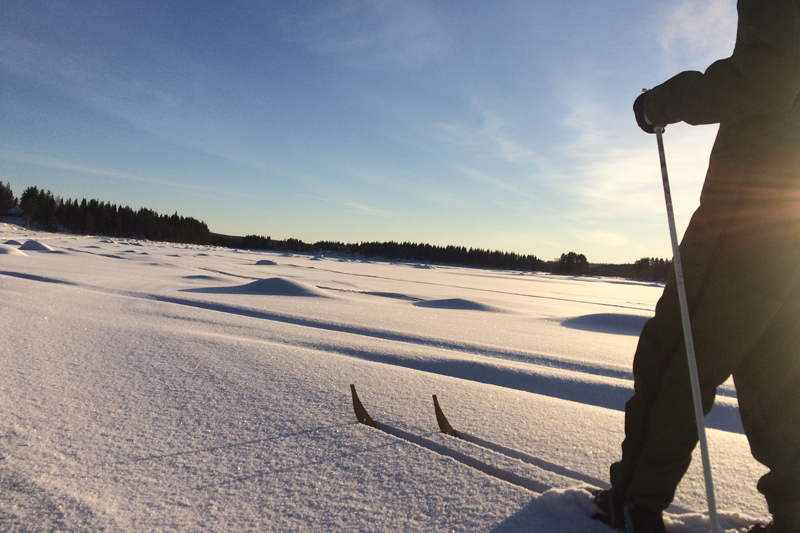 Cross-country skiing was the old Sami way of transport, and we appreciate it to this day – it’s wonderful to do along frozen rivers. In the old days, Sami and pioneers skied. 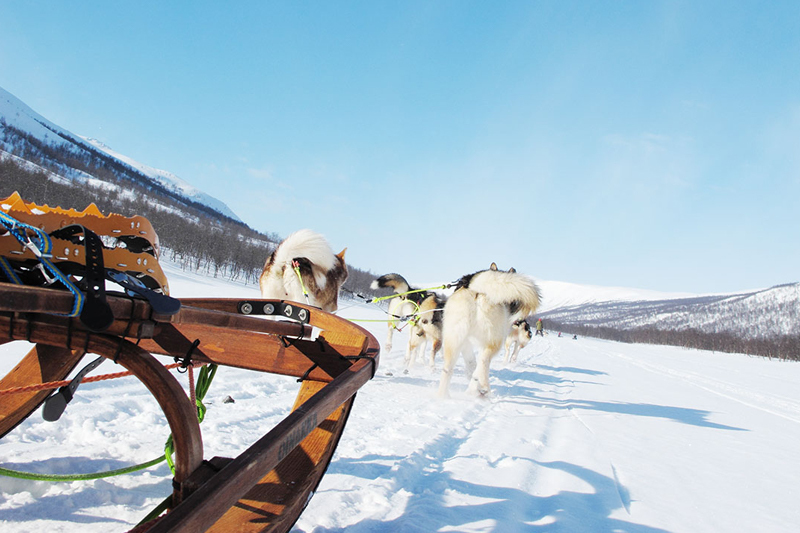 Nowadays we’re travelling by dog sled, and it feels like it belongs here. Too many of the companies, dog sledding, is a lifestyle. Go to cold-nose.se or outdoor-ticket.com to learn more. The area around Sorsele is said to be the most reindeer-dense area in Sweden, and here you can meet Sami artisans, guides and teachers. 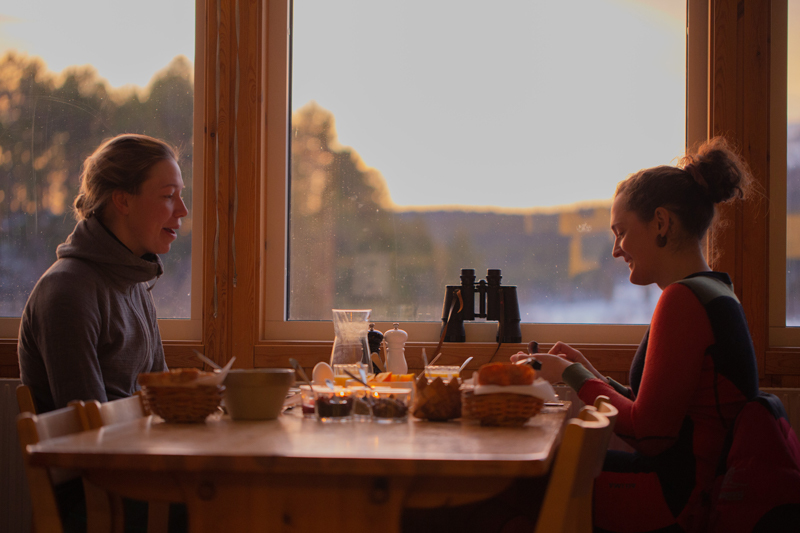 Geunja Sami Ecolodge is an extraordinary experience, with soft activities as well as taking part in the Sami lifestyle. 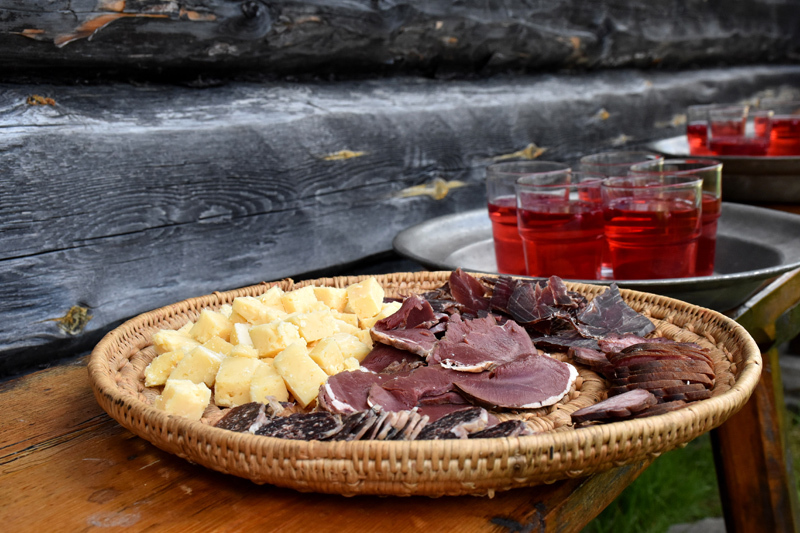 With SápmiVisti you can meet and feed reindeer or have an eight-course meal of Sami food and storytelling. The waterfall Brudslöjan is a popular viewpoint on the way from Sorsele to Ammarnäs. It offers an impressive view of the Vindel River. The waterfall freezes into a majestic pillar of ice and snow in the winter. 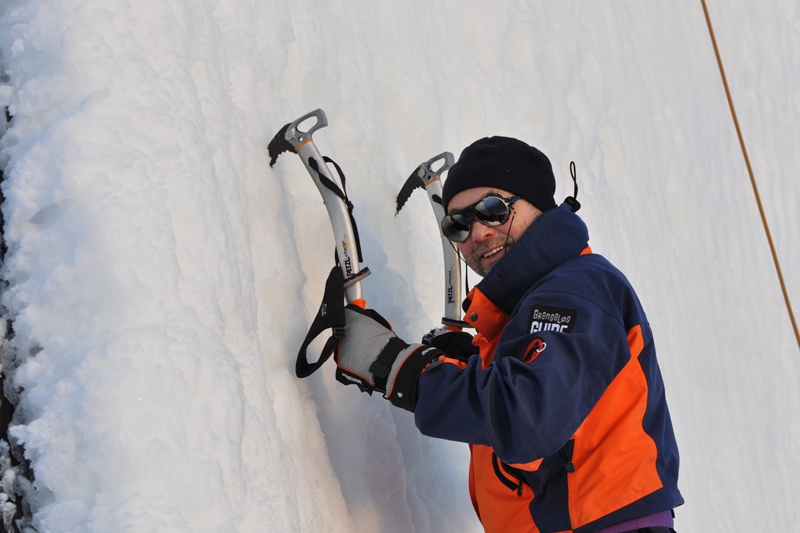 Learn how to climb it with NordTrek. Gargnäs is a village surrounded by water. Or ice, as it happens, during winter. It has a lot going for it as a small village, with charming places to meet up with locals and a hospitable environment. Wäckerlin’s Bed & Breakfast is a comfortable place with generous space – a place for active rest. 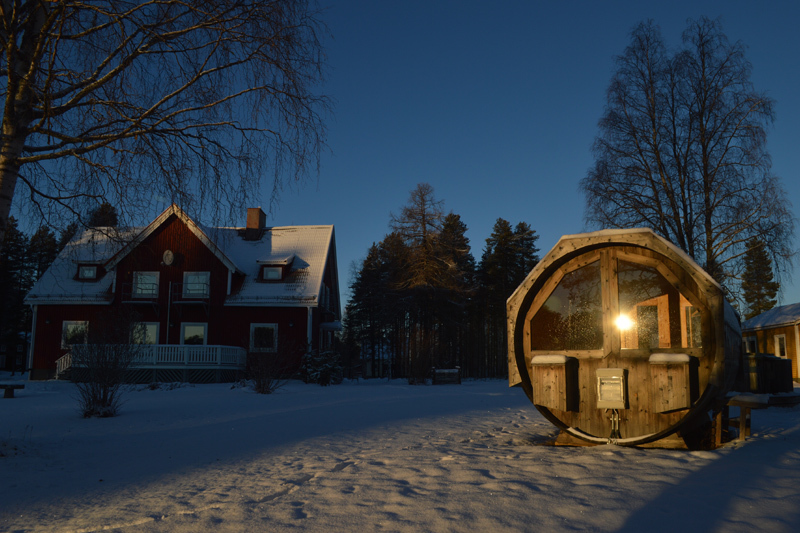 Don’t miss out on Trollforsen’s pizza evenings, which are very popular amongst the locals.